Here at Onar the interior blends with the exterior, creating a warm and natural ambience, ideal for spending a holiday of relaxation and wellness. Tradition and modernity, hospitality and simplicity come together for a unique sensation of well being and good living. Enter this fascinating world of our wellness suggestions and enjoy hours of exquisite rest, relaxation and regeneration. 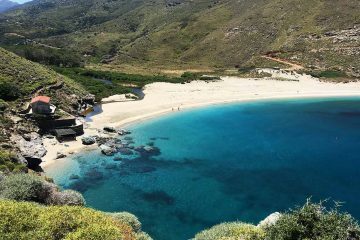 Andros agricultural landscape, its flourishing flora, unique fauna and precious geology, the oral history and the secular traditions are waiting for you to energize your body, inspire your mind and be part of our sustainable tourism for the benefit of visitors and the local economy and culture. At Onar the well being extends to the whole holiday experience. Mind and body are regenerated through the rediscovery of vital energy. At the beginning or at the end of the season, Onar Andros hosts Yoga and meditation retreats organized by holistic centers or individual Yoga teachers from all over the world. Here at Onar we are happy to provide the best environment for your retreat to be an unforgettable and life changing experience. 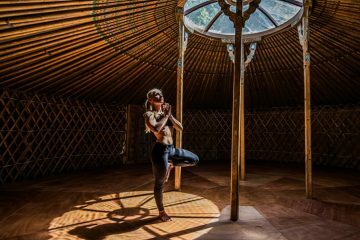 Classes held inside our Mongolian Yurt, under the shade of giant plane trees, next to the waterfall or near the lighthouse while looking at the sunrise, are only some of the countless options to keep fit in natural surroundings. Our chef can provide tailor made meals with organic products from our garden to your attendees. 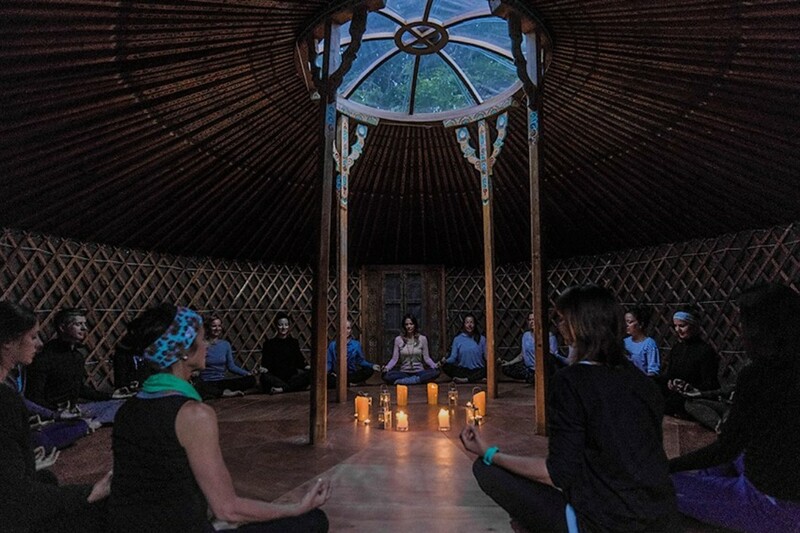 Allow yourself to find your balance and reach your own state of enlightenment by enjoying the soothing energy and the calming rhythm of Ahla Valley. Scent. Peace. Nature. 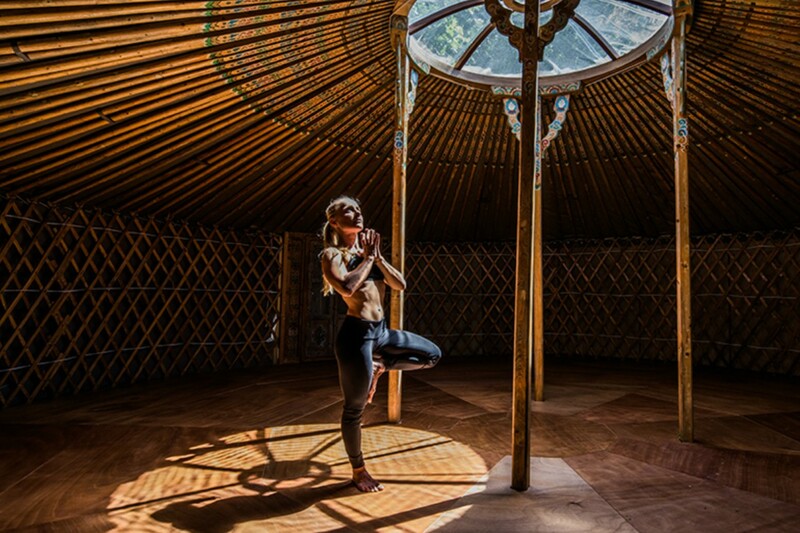 Connect your body and soul with your inner wisdom in this place of infinite beauty and immense history. Cobblestone trails, hinterland treasures and natural adventures on the most fertile island of the Cyclades will make your stay remarkable and significant. Passionate for nature and sportive souls will incredibly love Andros outdoor activities. Families, colleagues on team-building trips, group of friends looking for an unconventional nature experience will relish snorkeling, fishing, jeep excursions, hiking, scuba diving, boat trips or even swimming in a natural pool fed by a waterfall. 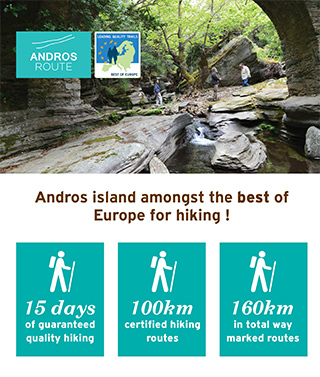 Andros is the first island in Europe to be recognized by the European Ramblers Association and Andros Route was certified as one of the Leading Quality Trails – Best of Europe. 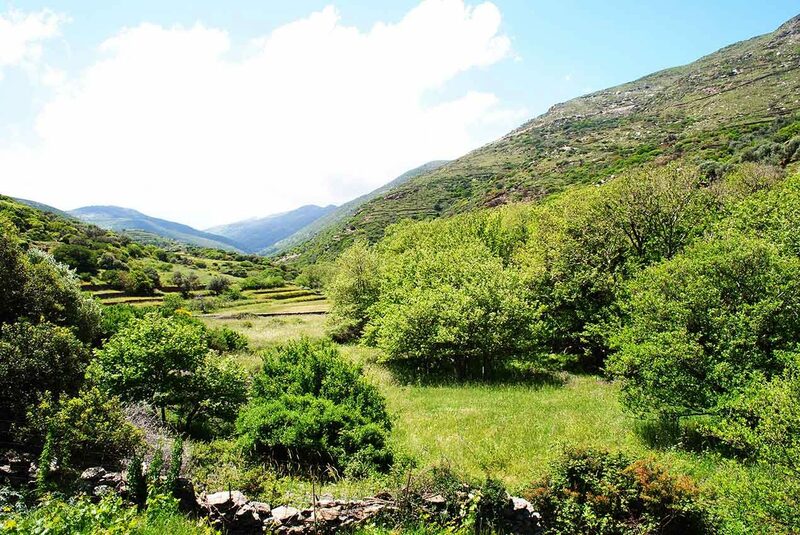 Andros Route is a continuous hiking route more than 300 km long extending from North to South. This network of ancient trails spreads through the island and is the best ways to explore it. Trail No 6 ends at Ahla Beach. 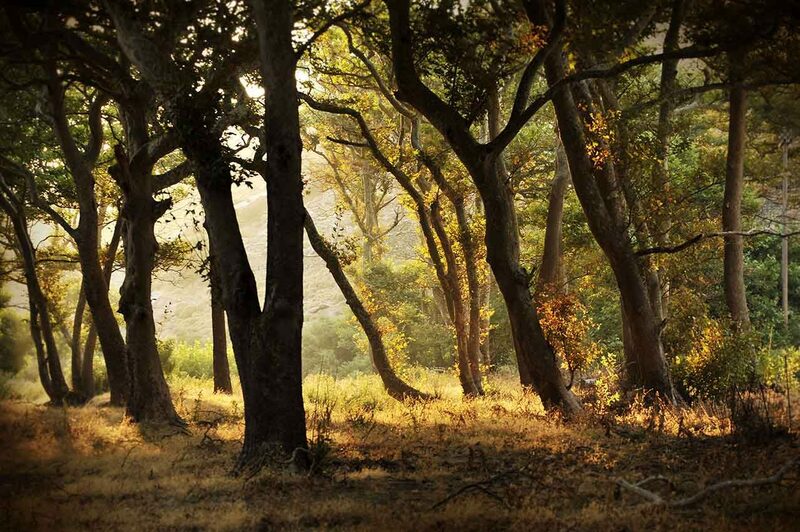 Follow the river lane and enjoy a magical walk in nature, surrounded by the lush greenery of the Ahla wetlands. Part of NATURA 2000, the largest network of protected areas in Europe, Ahla offers a heaven to most valuable and threatened species and habitats. Depending on the season, during your walk you will come across scented plants, giant plane trees, schinus, ferns, osiers, but also migratory birds, swans, partridges, pheasants, hares, eels and turtles. 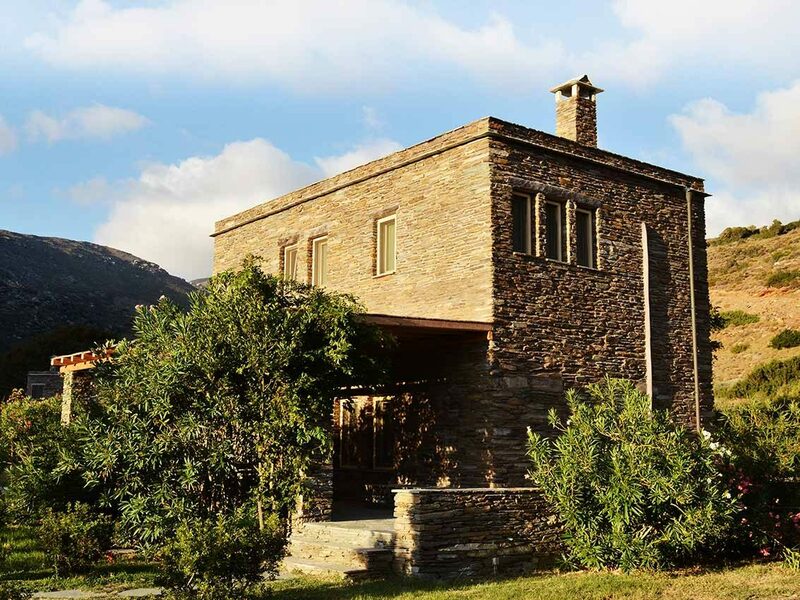 Discover the hidden morphology of Andros with beautiful rivers and streams passing through archaeological monuments, old mills, stone walls, fountains squares and charming chapels alternating with dense forests and verdant valleys. 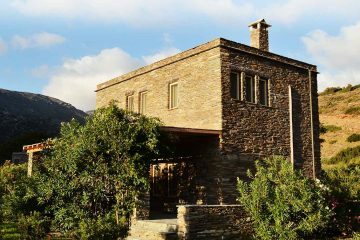 Experience the adventurous climbing to Vourkoti, the village with the highest altitude in the Cyclades. Stop a while and enjoy a swim in one of the small swimming ponds formed by the river. There is plenty of wildlife to see, including partridges, hares and turtles. Put on a sea mask and discover the rich sea bed of the Aegean sea. Setting off from the Ahla beach, take a boat trip and discover the hidden secrets of the island with the longest coastline in Cyclades. Ask us about the hidden treasure games that we organize for our younger friends inside the wetlands of Ahla and enjoy educational activities with an ecological character. And remember, naturalistic adventures are just the start of what this islands has to offer. 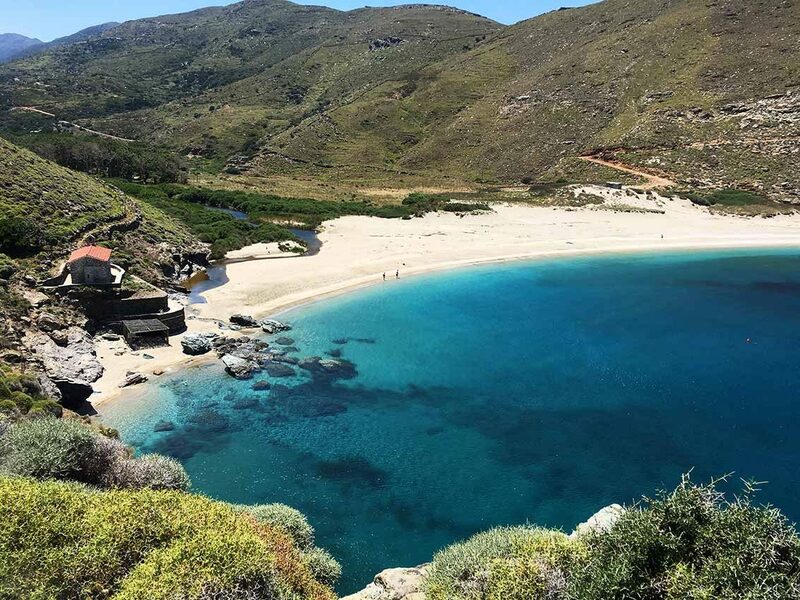 Having ONAR as your starting point, plan one-day trips and discover the many faces of Andros. The cosmopolitan Andros Town with the neoclassical mansions and the Museum of Modern Art, Vori beach with the impressive ship wreckage, the Byzantine monasteries of Agios Nikolaos and Panahrantou, the arched bridges and the traditional watermills at Dipotamata, the captivating beaches of Andros and its traditional villages, are only some of the places worth visiting.